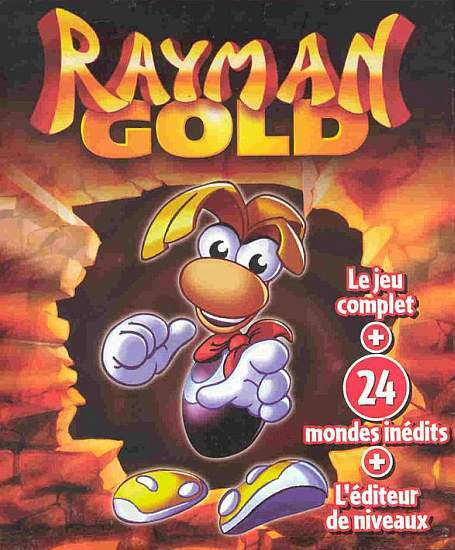 including 40 levels created in a contest for the fans of Rayman. CTRL - Jump. If you have the helicopter power, press CTRL to jump, then press it again to slow your descent with your helicopter blades. If you have the super helicopter power, press CTRL multiple times to fly. ALT - Throw fist, punch. X - Depending upon Rayman's powers, run or plant seed. Warning - Using a cheat code disables the timing! Choose a world from the main map. access any level on that world. Did you install the game in MS-DOS mode? 01. Click START->SHUTDOWN, select RESTART IN MS-DOS MODE, then click OK.
02. You should get a black screen with the following: "C:\WINDOWS>". that says "Invalid drive specification", this means that your CD-ROM drivers aren't loaded in MS-DOS. Please see the section about creating a boot disk). 04. You should now see "D:\>", assuming D is the letter of your CD-ROM drive. 05. From here type "install" and press ENTER. This will start the installation program. 06. Highlight INSTALL and press ENTER. 07. Highlight EXTENDED INSTALL WITH VIDEO and press ENTER. 08. On the next screen, leave the default directory "C:\RAYMAN", and press ENTER. 0.. .This will install the game. 09. You will see the message "SUCCESSFUL INSTALL" when it is done. 10. Press ENTER to go to the main menu. 11. Go to SOUND OPTION to configure the sound to work with your system. does not run under Windows NT , Windows 2000 and Windows XP, but . . . 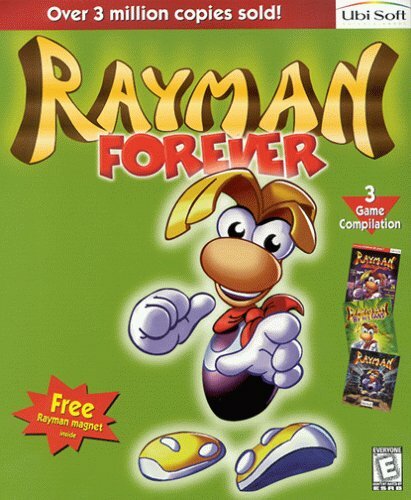 In June 1999, Rayman Forever expanded upon the Rayman collection by including 40 levels created in a contest for the fans of Rayman. 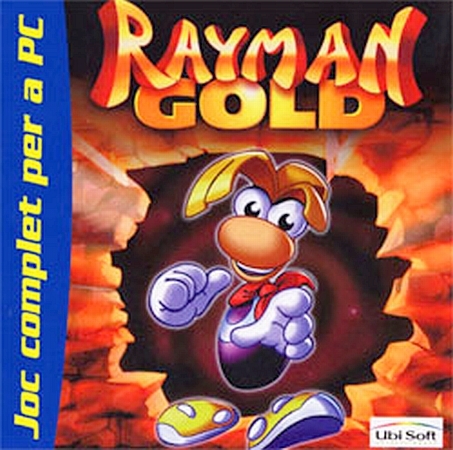 The titles contained in the compilation include Rayman, Rayman Designer and Rayman by His Fans. opportunity to create their own levels for Rayman as well as 24-new designer levels. 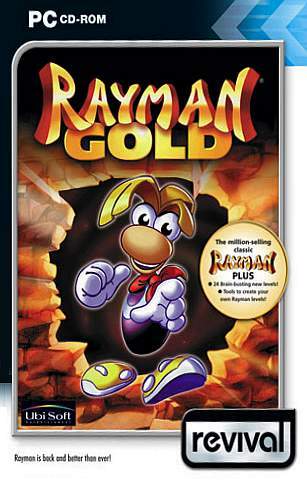 The third part of the package is Rayman by His Friends which is a compilation of 40 levels created by fans. levels with new enemies. * Revolutionary world building tools. 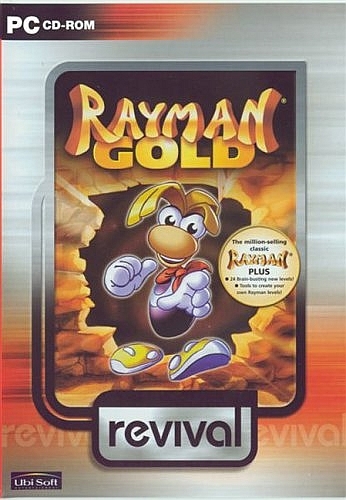 levels that come with Rayman Gold and Rayman Forever. 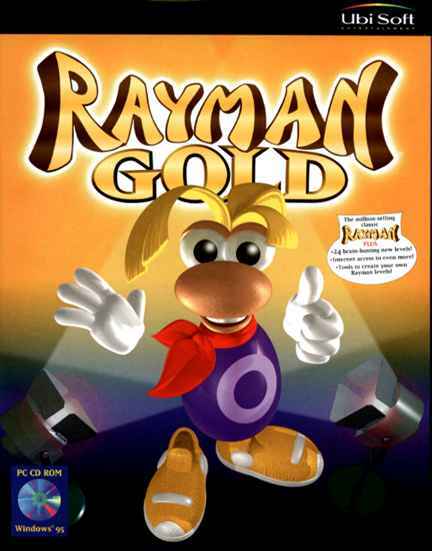 The logo and character of Rayman are trademarks of Ubi Soft Entertainment.